Join us for a review of the 13 proposed state constitutional amendments, two Alachua County referenda, and two Gainesville City referenda that will appear on the November 2018 ballot. 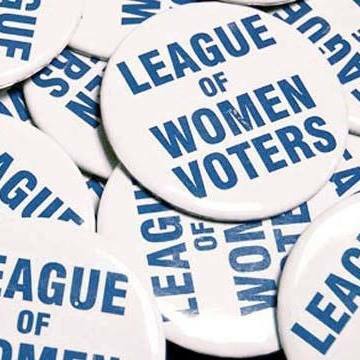 League of Women Voters president Carole Fernandez will describe the proposed amendments and referenda, give the League of Women Voters’ positions on them, and the general basis for those positions. Carole Fernandez was born and grew up in Louisiana’s Cajun country. She moved to Tennessee to attend college and then law school. She began practicing law in Nashville in 1978, first in private practice and then, for 6 years, with the U.S. Department of Labor. In 1987, she and her family moved to Miami, Florida, where, for almost 27 years, she served as an Assistant U.S. Attorney handling civil litigation, generally defending suits filed against the United States and federal agencies and officials. After retiring in late 2013, she and her husband, Chuck Stewart, moved to High Springs, where they live on about 13 acres with plenty of trees and wildlife. She is the current president of the Alachua County League of Women Voters. Please register by Thursday, Sept 6th. Luncheon $20/person payable at the door (cash or check only). No charge to attend if not having lunch (special seating section only). Please enter your contact details. If you are reserving more than one ticket, please provide guest names in the fields that appear. Please list additional guests, including first and last name, and ticket type (optional).